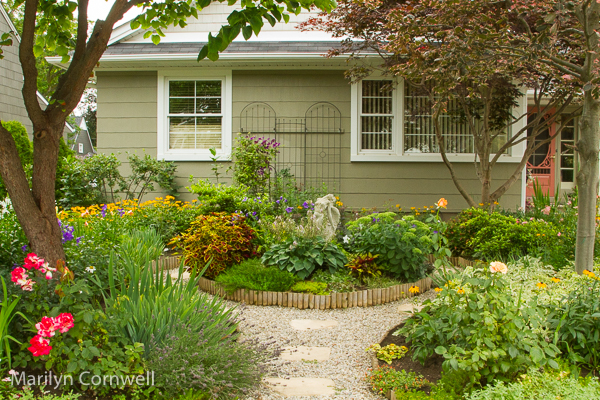 I was just reading a post from the Middle-Sized Garden blog. It was on creating a terrarium. The workshop leader says there is no bare earth in nature. It is all covered. So one covers the bare earth in the terrarium. "There are really only two big patches of intact forest left on Earth, the Amazon and the Congo, and they shine out like eyes from the centre of the map," lead author Nick Haddad, a professor at North Carolina State University, told the New Yorker. The article in the UK Independent examined the negative impact of roads in forests. I haven't found anything on whether there is naturally occurring bare earth/dirt. Instead the articles are on the notion of bare feet - bare earth - of 'grounding' - walking with bare feet in nature. The alive.com article discussion is about the bioelectrical nature of our bodies and the role of the earth's energy in our well-being. "Getting grounded - coming back into contact with the surface of the earth." 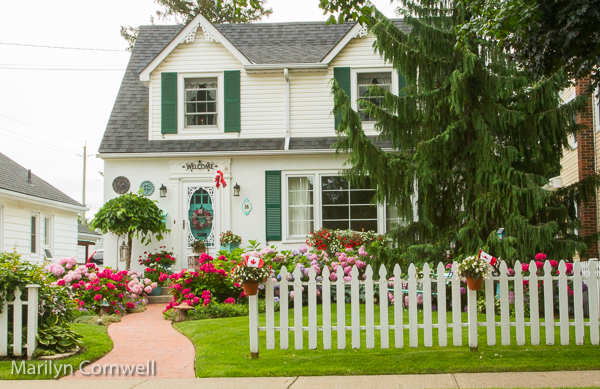 Here are two of Grimsby's pretty gardens - the first one seems like a doll's house - always decorated in pretty pinks with lush plantings, and the second a sophisticated romantic garden.